Wicker Bar Stool: 28 Inches Wide, 24 Inches Deep, 47 Inches High. Seat height is 29" High. Dining Table: 42 Inches High, 38 Inches Round. Celebrate special times with friends and family with our outdoor wicker bar set. 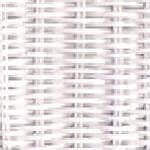 -You can select from white wicker or natural for your outdoor wicker bar set. -Each Bar Stool is extremely durable, generously cut and comfortable. -You will love that these pieces are framed on aluminum (rust-proof) and made for total outdoor conditions. 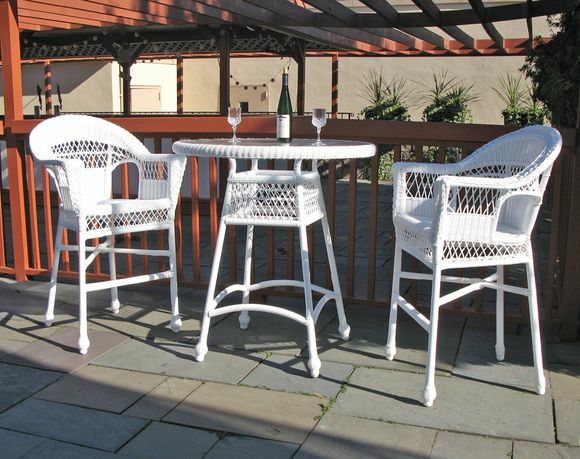 Have a happy hour with friends or family enjoying your outdoor wicker bar set made of resin on aluminum. These barstools are comfortable with high backs and matching handsome bar table with glass that's easy to clean! Our Cape Cod Outdoor Wicker Bar Set is a quick ship item!